Parks add to the beauty of our city and represent a place where residents and visitors can go to relax, reflect and recreate. Explore this interactive map featuring all of Rocklin's neighborhood and community parks. You can sort by location, amenities and more to help find your favorite park or discover a new one to explore. Parks add to the beauty of our city and represent a place where residents and visitors can go to relax, reflect and recreate. Explore this interactive map featuring all of Rocklin’s neighborhood and community parks. 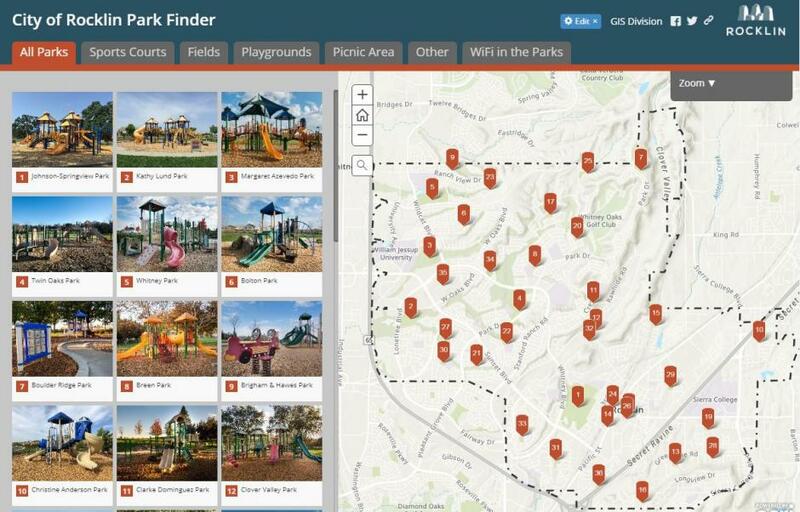 You can sort by location, amenities and more to help find your favorite park or discover a new one to explore.